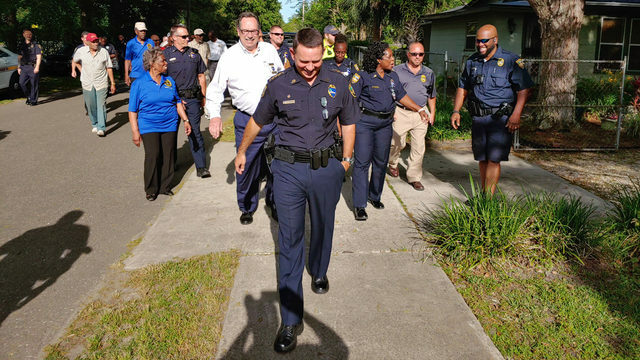 PALM COAST, Fla. - The Flagler County Sheriff’s Office worked with the national charity Kids Wish Network and the Palm Coast Dunkin' to grant the wish of an 8-year-old Palm Coast boy who has a lifelong diagnosis of cerebral palsy. 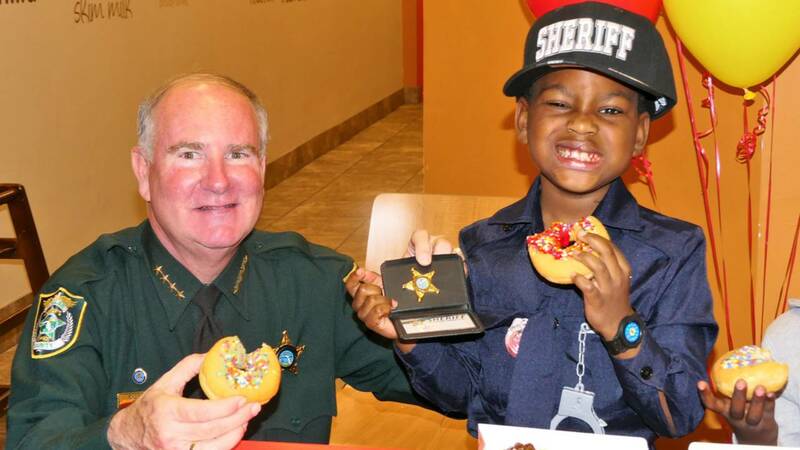 Phillip Neal's dream is to become a law enforcement officer, so the Sheriff's Office, Dunkin’ and the Kids Wish Network came together Thursday for a police-themed wish reveal inside the coffee and baked good chains on Old Kings Road. That's where Phillip learned that he was receiving a year's supply of doughnuts and that his wish to go to Disney World was being granted by the Kids Wish Network. Additionally, Sheriff Rick Staly made Phillip an honorary deputy.